Imagine Josef Goebbels invited to speak his mind on the BBC, smack dab during the Battle of Britain and the blitz. Sounds absurd? Sure, but only in the context of normal nations. 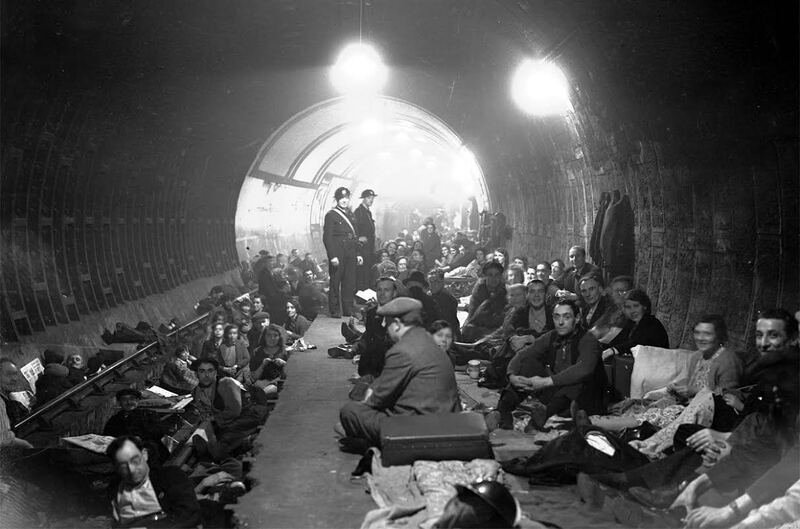 No sane Briton would have tolerated the notion of the BBC broadcasting German propaganda to Londoners as they ran for shelter from German bombs. Abetting Nazi belligerence would have been a nonstarter even under the guise of a detached reporter’s interview, part of an evenhanded approach, a sporting consideration for the aggressor’s point of view. But not so in Israel. Here we operate in an alternative universe. Nothing that would be unthinkable anywhere else is out of bounds for our broadcasters. While Protective Edge raged, they kept us tuned to nonstop nattering, most of it superfluous, speculative and narcissist. But in many prattle panels, there was an Arab-Israeli MK or a hotshot from some Arab “anti-racism” group (since in this country only Jews are accused of racism and never Arabs, the term is used as a loaded euphemism for anti-Jewish, anti-Zionist and/or anti-Israel). The rules of our deranged game oblige media hosts to treat Goebbels’s latter-day torchbearers with courteous deference, or – put less diplomatically – with obsequiousness. These hostile guests all do their absolute darndest to get our goat and compete fiercely with each other for the title of most abusive and abrasive. That distinction is worth political gold in Israel’s ominously radicalized Arab sector where it becomes a prime vote-getting asset. In this round, though, MK Ahmad Tibi (Ta’al) must be judged as a formidable contender for top prize, much as his ambitious competitors tried to outdo him. He railed and he rebuked. He vituperated and he vilified. He shouted down everyone else and shrieked till his eyes bulged and stared daggers. If looks could kill, Tibi’s viewers would all be promptly dispatched to the netherworld. Mockingly mimicking our commemoration, Tibi thundered: “you know the names of the children and men and women you slaughtered in Gaza. They each had a name!” He thereafter proceeded to holler them out in a confrontational and stentorian provocation. Tibi’s chutzpah is so colossal that it’s hard to know even where to begin taking him on. We could remind him of the avid enthusiasm of his parents’ generation both locally and throughout the Arab world for Hitler’s industrialized wholesale execution of Jews. The spiritual forefather of both Fatah and Hamas was Haj Amin al-Husseini who spent the war years in Berlin as Hitler’s guest, recruited Muslims to some of the most heinous of SS units, called for the shedding of Jewish blood “to please Allah,” foiled every scheme to rescue Jewish children and sealed the fate of Hungarian Jewry even as WWII ebbed. Despite having been declared a wanted war criminal, Husseini to this day remains exceedingly popular among Tibi’s cheerleaders. Then we arrive at Tibi’s implied analogy. Did European Jews lob rockets at German civilians going about their daily lives? Did they abduct and murder German schoolchildren? Did they dig tunnels from which to perpetrate mega-massacres in German villages? And did the Jews doomed to unspeakable deaths – for no other rationale than their lineage – use noncombatants as human shields to protect fanatical rocketers and their installations? Did the ill-fated Jews hoard vast military arsenals? Did they endanger 70% of all Germans? Tibi can be accused of a whole lot but he cannot be called stupid. He knows full well he’s lying big (as per Goebbels’s instruction) and he scornfully resorts to the most spiteful of lies. What can we do about it? Not much. Our ultra-liberal Supreme Court will defend Tibi’s right to defame us to the last drop of our Jewish blood. Tibi will continue messing with our minds from the podium of the Jewish state’s parliament and he’ll rouse his electorate’s fervor with ever more inflammatory rhetoric. Ours is decidedly a suicidal democracy and its aberrations are unlikely to be eradicated. That said, why invite Tibi to our radio and TV studios? Why give his sedition resonance? Why aggrandize his unconcealed antagonism? Why play into his hands? The simplest thing would be not to request his subversive participation in endless on-air talk fests. No court can oblige any anchor or producer to relay Tibi’s rants. Tibi and his ilk would have us believe that the entire conflict with Gaza began with callous Israeli bombardments aimed intentionally at frightened tots. No mention is made of the thousands of rockets rained down on Israelis before Israel lifted a finger in its defense. No mention is made of how long Israel waited to react and how we repeatedly accepted ceasefires that Hamastan disdainfully rebuffed. Tibi doesn’t concede that the rockets from Gaza aren’t launched for benevolent ends but are deliberately meant to sow death and destruction. He cynically dismisses our acute distress as resentment against “barbaric Palestinians for preventing saddened Jewish kids from going to dance class.” However, only the technology ingenious Israelis developed – after years of ongoing Gazan shelling – keeps us from bleeding out. Ironically, the very Iron Dome which deflects harm from us, inter alia allows assorted Tibis to misrepresent this as a one-sided war, one in which only hapless Arabs are walloped. The travesty, though, doesn’t end here. The same TV presenters who stomach Tibi’s distortions, shower effusive praise on Amir Peretz, one of the more incompetent defense ministers we’ve had, because during his erstwhile stint he agreed not to nix the anti-rocket system. Nobody stops to ask why our lives must now so crucially depend on this super-defensive cutting-edge contraption, awe-inspiring as it most truly is. It’s politically expedient for Israel’s Left (and most of our news-purveyors lean leftward) to obscure the fact that were it not for the 2005 Disengagement, the Iron Dome wouldn’t have been indispensable. As long as we maintained military control of the Gaza Strip, no rockets reached Ashkelon, Ashdod, Rishon, Tel Aviv, the Sharon Region and all the way up north to Haifa and even beyond. This nightmare is indisputably Disengagement’s by-product. Each territory we relinquish becomes a terror base. So it still is in South Lebanon and so it was in Judea and Samaria until we reasserted control in Operation Defensive Shield. Our ongoing presence there is the only reason that Ben-Gurion Airport isn’t permanently closed, that rockets from Kalkilya don’t flatten Kfar Saba and that Tulkarm doesn’t demolish Netanya. Our survival depends on not surrendering territory. Making nice to still-viable foes won’t safeguard us from their predations. Are there any rueful reevaluations on the Left – any breast-beating? Of course not! Disengagement’s promoters prefer we not recall their arrogant sales pitches. As the shattered shards of these sham inducements tumbled menacingly all around the Garden of Eden, not only weren’t Olmert and his sidekick Tzipi Livni the least bit contrite, but both vigorously concocted a Disengagement sequel, which they dubbed “Realignment.” It was to bring the dubious bounties of Gaza’s Disengagement to the elongated eastern flank of our densest population concentrations. This is what we must be forever wary of. Flare-ups and ensuing military operations come and go but our collective memories soon fade away, overtaken by the inexorable march of fresh news superimposed on yesterday’s banner headlines. Once the current fighting in Gaza recedes into the past, new schemes will be spawned for more giveaways of strategic holdings. To this day our political arena bristles with know-it-alls who adamantly refuse to connect cause and effect, who deny the direct link between the evacuation of Gush Katif (along with the three north Gaza buffer settlements) and between the emergence of Hamastan – armed to the teeth with all manner of flying projectiles, capable not only of imperiling the Negev but of harassing most of Israel. It wasn’t coincidence that propelled an emboldened Hamas to power hot on the heels of our withdrawal and that freed it to fire at will on us from the very Jewish settlements we razed. It was Israel that granted Hamas the capacity to decide how and when it might arbitrarily disrupt the lives of Israeli civilians. Gaza’s monstrous gunrunning was plainly facilitated by the IDF’s absence. It’s as if the Third Reich’s chief propagandist had told BBC listeners that the RAF’s heroic pilots, who dealt Hitler his first major defeat, were homicidal beasts. Bombed and battered Britain never countenanced the notion that it shouldn’t differentiate between its own casualties and those of the enemy who started the war in the first place. An attacked nation doesn’t worry about the welfare of those who strive to annihilate it. Perceiving ourselves through enemy eyes means losing the psychological war. This is just what Tibi wants. Your article highlights the detractors of Israel both from within and without the country. Israel seemingly allows the internal detractors to vent their respective spleens in the false belief (mainly by Liberal Intellectuals who want to be seen to be doing “the right thing” and patted on the head by the rest of the world) that the world will applaud Israel’s actions. In fact the opposite is the case. the world has only ever respected jews and `israel when resilience and strength are the order of the day against the protagonists. What the world fails to comprehend is the “Niemollerian” concept of survival and defence. The world has the impudence to condemn Israel for defending itself from the terrorist barbarians (who by the way are all intrinsically part of the same war (or Jihad against Israel and ALL non Muslims by factional Muslims who appear incapable of stoping killing each other). At the same time the worlds Christian secular and religious leaders conveniently says little in defence for their own Christian brothers who are being slaughtered in “Barbaria” just for being Christians, yet admonish Israel for protecting itself. How revolting and hypocritical ! The world who supplies these barbarian terrorists with the rms and ammunition that kill not only Jews and Christians, but their own people who aren’t “on message” and disagree. How dare the world moralise and judge Israel for wishing to defend itself and merely to exist! When the world has its own house in order, then, and only then, will it be in a strong position to preach to Israel on the issues of defence and survival. (VERY) Senior Statesman Shimon Peres, said when visiting wounded soldiers in the South, that “the IDF had run-out of military options”! Inferring only a peace-deal with jihadists is the solution! Has he lost his marbles? Does he not realise the country is at war? Peres leads a raft of Israeli politicians and statesmen that need to be gagged. Thanks to both Dr Uri and Sarah Honig for some provocative views. As usual, I’m afraid, both are preaching to the converted in that those that really need to listen – let alone to hear – are too preoccupied with their own agenda’s. You are always appreciated Ms Honig. Let’s remember back to the day Before yesterday. Back to 1979 and the Great Carter Begin Peace Plan. Israel gives away all the land while keeping all the Arabs. When it was taken, Gaza was 130 km2 containing 400,000 Arabs, the Sinai 60,000 km2, three times the size of Green Line Israel, with only 50,000 Arabs. It has ten times that today. And it is definitely a terror base, and not just for us, for escaping African refugees and, temporarily, the Egyptian Army. I understand the argument that as a result of the Great Plan we haven’t had a war with Egypt for thirty five years but why didn’t they take back Gaza? Begin should have insisted. Better yet, keep half the Sinai. Wouldn’t the War God Allah understand? Gaza is the model of the “two-state solution”…IT HAS FAILED COMPLETELY ! Hopefully Israel will now break free from Oslo and reject all future American attempts to sell out it’s land. A first good step in that direction would be, to DISRUPT all forms of antisemitic political propaganda. A speedy and practical all around solution. The American People are with Israel; Obama, Kerry and the State Department are out of synch with US. Israel owes no allegiance to its wishy-washy “friends” in Europe and elsewhere, whose barely hidden anti-Semitism has lost little time resurfacing. This is the time for Israel to set aside all its disparate political ideologies and direct all its energies, intelligence and passion to the defeat of its enemies. Bibi has to stand firm just as David did, and Goliath will go down, hopefully forever. In essence, the only viable Arab-Israeli solution is indeed a “two-state for two people” solution in effect already proposed by the British in 1920s: East Palestine for Arabs and West Palestine for Jews. If not, how many Palestines do the Arabs want? There exists an intrinsic need for simplicity, felt by the whole world (even Obama), so it must work. A two State solution id indeed adoption. BUT it is only viable once the Ayrabs acknowledge both Israel and denounce in perpetuity their sworn desire to murder every Jew in and out of Israel. Prior that coming into force the concept of peace is a Walter Mitty concept. The model for this all is to subject Israel to the very anti-Geneva conventional process of mass mock-executions, in the form of rockets and mortars falling around Israeli heads or, really, into them. This is followed by condemnation for any attempt to secure relief, by the both careful and careless placement of civilians in the path of the only logical means of stopping the assaults, by counterattack no matter how cautious. All this is to reignite the “peace process” dictated by the USA. Its a sick model, that, by itself, needs to be combated by a civilized world instead of being given free rein by TV broadcasts selling soap and viagra, simply because good video of blood is available from Gaza, as opposed to Syria, Iraq, Africa, etc. Dear Sarah, I propose that you write a series of articles titled “The heritage of Yitzhak Rabin I,” II, III, IV, etc. in which you explain why Israel so much like the Oslo accord (and enjoy its “partners of peace” PLO and Hamas), the endless line of the “victims of the peace process” (both civil and military), the advantages of lack of initiative and of international political pressure (on ourselves), and the moral gain from defeat. And finally, how soon they will create the position of Chief Psychiatrist of the Government of Israel and of Knesset Israel? I have been following coverage of the Cruz/Bardem letter to which Jon Voight responded admirably. It is interesting that the Spanish duo et al chose to lament the lack of electricity in Gaza as evidence of Israel’s evil treatment of Gazans, but as is to be expected of those adhering to the anti-Israeli-opinion-devoid-of-fact line of “reasoning”, they of course did not bother to inform themselves as to why Gaza might be in the dark, a topic which Sarah wrote about a few weeks ago. Or perhaps they are aware but are simply choosing to ignore this reality, as any pesky factual impediment to their ability to demonise is just annoying.